May 28, 2010 Holly Home and Garden Comments Off on Martha, Martha, Martha! 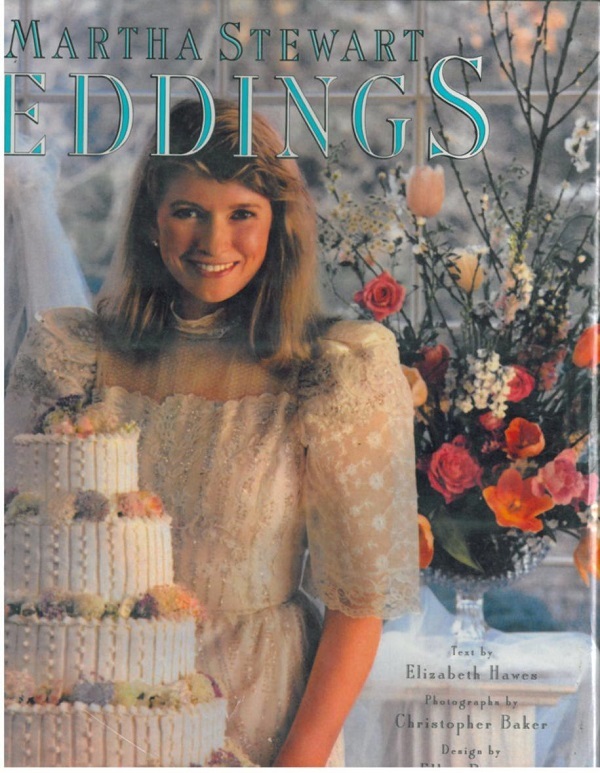 Submitter: We just weeded this Martha Stewart’s Weddings book published in 1987 from our collection. It’s not horrible, we actually think it’s totally awesome 80’s. 🙂 And Martha looks so young! Holly: Martha looks ridiculous. She has so many (sooooo many!) newer books out, including about weddings, that there’s not really any reason to hang on to this one. If the owning library has no other books by Martha Stewart, they need to get some. Her books are staples in public libraries, but they have to be more current than this. I’d go maybe ten years back. This is actually one of our most popular wedding books! In fact, all of Martha’s older books get checked out WAY more then her newer stuff! I’d keep it and weed the newer because people love young Martha but hate older Martha. I don’t know if I would call excessively large shoulders awesome 80’s. More like 80’s Hall of Shame. A satisfying mix of delightful and terrifying. My library system withdrew this book after a patron brought it up to me and told me that the woman on the cover was *not* Martha Stewart. Actually, I recently came across this book while weeding. While I agree that it’s a bit past its prime, I found it interesting to discover that 20+ year old Martha books are still better than many newer non-Martha books. However, 1987 really is rather old for a decorating book. Time for it to go! Ha ha ha. My mother gave me that book last year when I started planning my wedding. The cover image may not stand the test of time, but the ideas inside probably hold true. The pink-covered version from the 90s is WAY more up to date! Better yet, just subscribe to Martha Stewart Weddings. But it doesn’t check out half as much as this one does. I see this and other older Stewart books cross the circ desk way more then the new stuff. Also any old Emily Post books circ way more then any new stuff. This doesn’t even qualify as ‘retro cool’. It’s just too much chintz! I very much doubt that the cover model is Martha herself. She looks much younger than Stewart would have been in ’87. Amazon still sells this for over $45.00. You can even search through the pages. 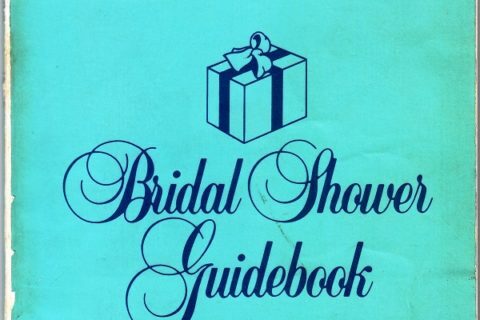 It not only has tips for the wedding, but menu ideas and recipes as well. So, while it is old, I think it probably does have a lot of good ideas. Martha usually does! Amazon tries to sell it…as a collectible…but who’s buying it? people like me who have their own awful library book collection…lol. I actually JUST pulled this book. My co-worker and I had a big debate on whether to weed it or not. When we checked the catalog, the copy in our hands had actually just been added to the collection 2 years ago. And I went on Amazon and they were still selling the book! I think we opted to give it one more year on the shelf because the Power of Stewart compelled us. It looks like Martha, pre-ego growth spurt. She looks pretty happy in that shot. If today’s Martha could meet 1987 Martha, what words would they exchange? I weeded the same book a month or so ago. I worked at a bookstore in 1987. I remember selling this book. 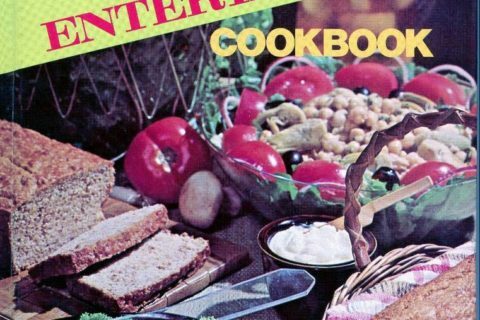 Yes, TF, it is actually Martha Stewart on the cover. I think Martha looks hot in this picture. I’d hit it. That cake looks really wonky. Was nothing right in the 80’s. That’s definitely Martha on the cover, just younger and with longer hair. Other than pose for the cover, though, what did Martha contribute to this book? Someone else wrote the text, and a third person took the photos, and, based on the tops of the letters, it appears that a fourth person did the design. 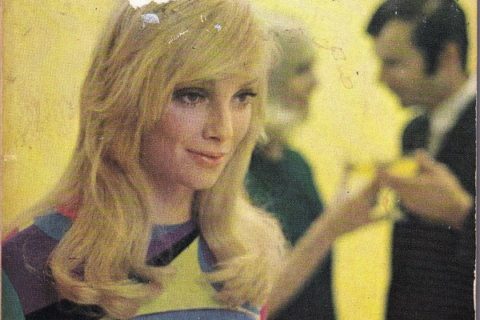 What did Martha do? oh oh oh!!! my library totally just weeded this one! 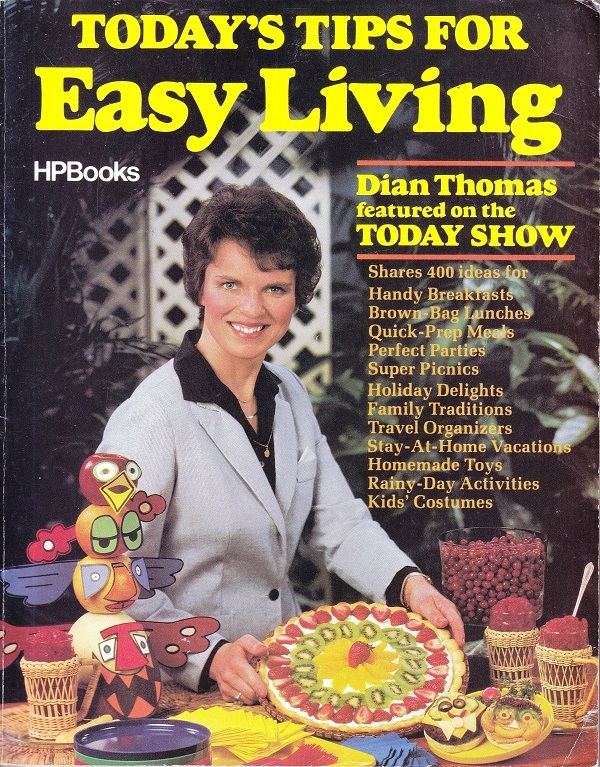 I saw it in among our book sale boxes and had to look twice at the cover to be sure it really WAS Martha Stewart.